For some odd reason, this movie bought me joy. I'm a big movie plot kind of guy, meaning either you have one or you don't, you can't be in between. Like I like my movies super complex, or just a fun film that was made. Those movies that like to straddle the fence either do a great job balancing or they fail miserably because they didn't quite juggle right. This movie though did a great job of being a great action and drama movie, aka a thriller. The art of making thrillers have long since been a lost one, but I thoroughly enjoy them because they combine a great acting and a great plot with heart stopping moments. 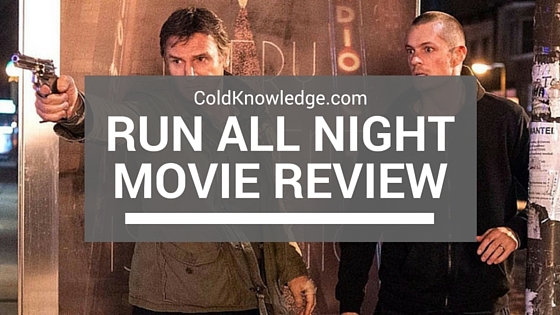 Run All Night setup the plot of the movie in quick fashion and then quickly turned up the action, which I was there for. The cast is on point, and why wouldn't it be when you have Liam Neeson & Ed Harris leading the charge, and with Vincent D'Onofrio, Joel Kinnaman, Boyd Holbrook & Common anchoring the cast, it was nothing short of great acting. The plot had something for everyone to do and no one was stagnant in their roles, basically no character was wasted during the movie. You know I'm not going to speak too much on the plot, but the the movie progressively gets better as you watched it, and the ending was a great one. I mean it's the typical ending, but the way it was setup, it played nicely with the acting. I would definitely recommend this movie to those who enjoy a good thriller, not to those who necessarily won't like to sit and think during the movie at some point. All in all, this is one of the better movies of the year for me, not top ten, but it's one of the better movies for me. I saw it once at this current time, but I'm definitely going to watch it again at some point this year when I get some time. This was a good movie to watch at the end of the day to watch. If you've seen this movie then leave a comment in the section below!